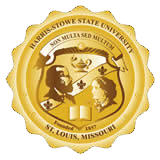 Thank you for your interest in the Anheuser-Busch School of Business (ABSB) at Harris-Stowe State University. Whether you are a student, parent, working professional or alumni, this site will provide you with valuable information about the educational opportunities available at the ABSB to help you compete in today's global workforce. Since its inception, The ABSB has been dedicated to academic excellence, as well as fostering new opportunities for growth and development. Our diverse student population is comprised of highly motivated individuals, each of whom possess exceptional entrepreneurial and leadership potential. Our alumni are leaders within the business community and continually bring outstanding recognition to our institution. Our dedicated faculty strives for educational excellence each and every day to allow our graduates to go on to become valued employees and business leaders of tomorrow. Again, thank you for the visiting our website!